The program affects only the Central Business District and starts May 8. Starting May 8, those red top parking meters all around D.C.'s central business district will only be allowed for people with disabilities. News4 Transportation reporter Adam Tuss clears up the confusion. The Red Top Meter Program will go into effect May 8. Only affects meters in the Central Business District. People with disabilities will still have to pay to park in the CBD. A parking meter program that confused many drivers will be starting up again but only for a specific part of Washington, D.C. The Red Top Meter Program will go into effect May 8 in the Central Business District (CBD). The area encompasses the region around the U.S. Capitol, National Mall, White House, and streets as far west as George Washington University and as far north as the Dupont Circle area. In that region, parking meters with a red top will only be for people with disabilities. A similar program that started in 2012 caused confusion, and the D.C. Department of Transportation allowed all drivers to park at the red top meters as long as they paid. 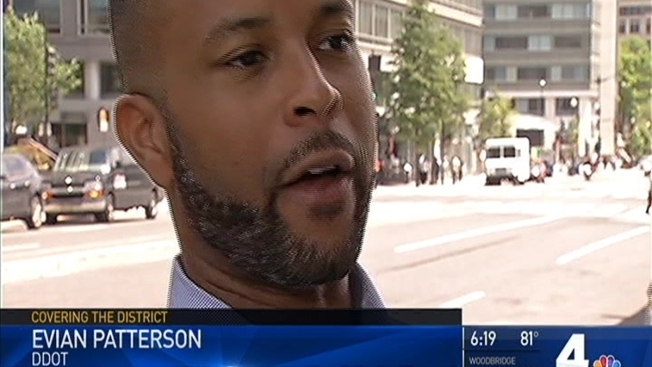 "Next week, May 8, enforcement begins," said Evian Patterson, with DDOT. "it's just giving a step-by-step guide of what to expect, how to pay." People with disabilities will still have to pay to park in the CBD. Outside of the zone, anyone with a disability placard can park at any D.C. meter and not have to pay. There are 350 red top meters inside the CBD. When the program starts, people with disabilities who use those meters will get double the amount of time to park in the space.